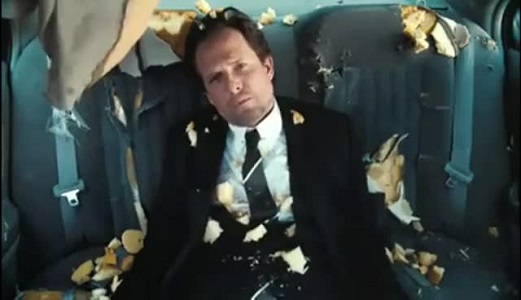 Dean Winters who plays Mr. Town, is best known as "Mayhem" in the Allstate commercials. Mr. Town has been tasked by Mr. World to find out what Shadow knows about Mr. Wednesday’s plan. His brutal efficiency and technique just may get him the answers to his curious questions. Mr. Town wants to know why he goes with the flow and Shadow replies it is because of curiosity. Mr. Town discusses how the New Gods have brought medicine and technology while the Old Gods are relics. I haven’t read the novel by Neil Gaiman, so I know anything else about Mr. Town than this. The IMDb only lists this one episode for Dean Winters, so it could be this was all we were going to learn about him. And I don’t understand the significance of the names for Mr. World’s acolytes – Mr. Town, Mr. Road, Mr. Stone, Mr. Wood…. I understand the deal with Mr. World – he’s one of the new gods, AKA Globalization. Mister Town must be a demi-god, serving World as his inquisitor. As such, he is far younger than the Old Gods, but still with a longer lifespan of the humans, perhaps they’re even immortal. So I have a theory of relateeveety…. 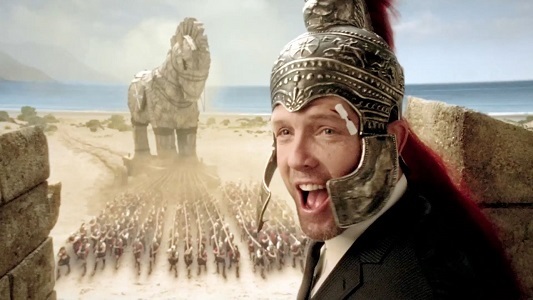 Dean Winters’ character in the All-State commercials is the Spirit of Mayhem. He’s another demi-god, the living embodiment of a concept in much the same way as Dom DeLuise was Guilt and Loni Anderson was Love in an episode of ‘Amazing Stories’. And while we’ve mostly seen him in action during our current era – taking the form of snow, mobile phones, even a ring-bearer at a wedding – we’ve seen in another blipvert that Mayhem has been around since early times in human history. Definitely another immortal. 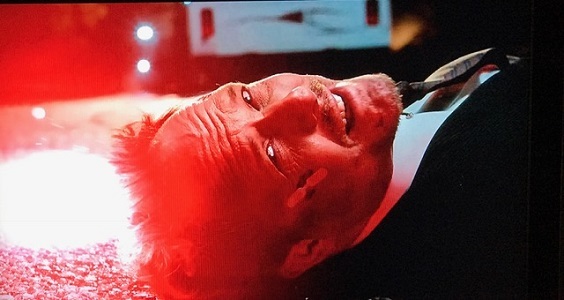 So I’m thinking (always a dangerous thing) that Mr. Town is the son of Mayhem, taking the skills and demigod abilities of his parentage and honing them in a new direction. And that’s just a sampling of the human descendants of Mayhem. As for Mister Town, he would be of a more relatively recent vintage of Mayhem’s Spawn, and more than likely his mother was a demi-goddess herself which would guarantee his longevity. Everything about this theory could come crashing to the ground should Mr. Town return to ‘American Gods’ and more is revealed about his past. But the focus of the series is on Shadow Moon and Mr. Wednesday, so a minor character like Mr. Town? I doubt his family tree would ever come up. 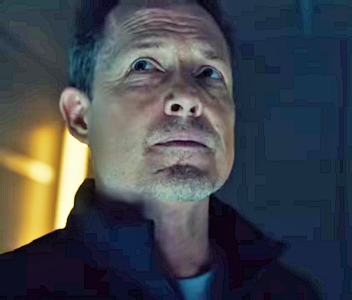 Watch – somebody involved with the show sees this and does a rewrite to screw it up!